Brothers Christopher and Joseph Daem set out on a ski trip through Duchesay Pass, between Banff and Field, on 24 February 1933, but failed to return. According to the local newspaper, a number of search parties were mobilized but they were unable to find any sign of the men. After several months, the bodies of Christopher and Joe were discovered by Swiss guides in June, 1933. They had been buried under avalanche debris. Christopher was 25 and embarking on a writing career and Joe, 24, was a graduate in engineering from Queen’s University. Joe had undertaken survey work in Rogers Pass for several years, was an experienced climber and like his brother, familiar with the terrain through which their last journey was made. The Daems were a well-known Revelstoke family and the incident deeply affected the town’s residents. The brothers left behind their parents, Joseph and Rose Daem, two brothers, Joris and Frank, and two sisters, Joan and Alberta. Posted on September 19, 2016 by Catherine English and filed under catholic and tagged Rocky Mountains mountaineering accident Duchesay pass banff field rogers pass Christopher Daem Joseph Daem avalanche fatalities. 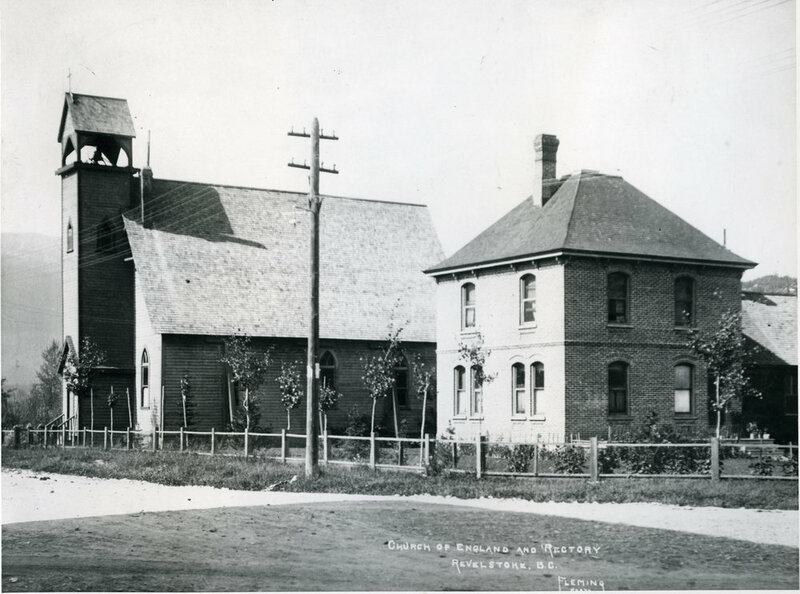 Saint Peter's Anglican Church and rectory, Revelstoke. Frank Ford was the vicar at St. Peter’s Anglican Church from 1897 until his death in 1899. He had come to Canada from Plymouth, England. At the end of January 1899, he traveled by train to Rogers Pass to visit some parishioners there. On the way back the train stopped briefly at Albert Canyon and Rev. Ford stepped off to speak to someone on the platform. As the train started to pull away, Rev. Ford ran to board the train, but slipped and fell under the wheels. He was brought to the private hospital at the top of Douglas Street, but did not survive. The parish was devastated by his death and created memorials to him, including the marker in the cemetery, and a memorial plaque in the church. A photograph in the museum reveals this gravesite used to have picket fence around it. Posted on September 19, 2016 by Catherine English and filed under English, protestant and tagged Vicar St. Peters anglican church rogers pass railway accident CPR fatality.